In 1958 – a year before I was born -- a 43-year-old monk from a monastery in Kentucky was visiting Louisville. He was standing on a street corner: the intersection of 4th street and Walnut Ave. His name was Thomas Merton, and he had been a Catholic Trappist monk for 15 years. The corner of 4th and Walnut is now famous because of what happened to Thomas on that day. Something very profound happened to him – and yet nothing at all happened to him. All around him people and cars were going about their usual business as he stood there. What happened was this: his heart opened up. This week, Lake Chalice is asking: What do you want? Really want? And do you know? Wednesday’s post looked at Mohandas Gandhi; yesterday’s at Dorothy Day. Maybe seeing what they wanted will help us see what we want. 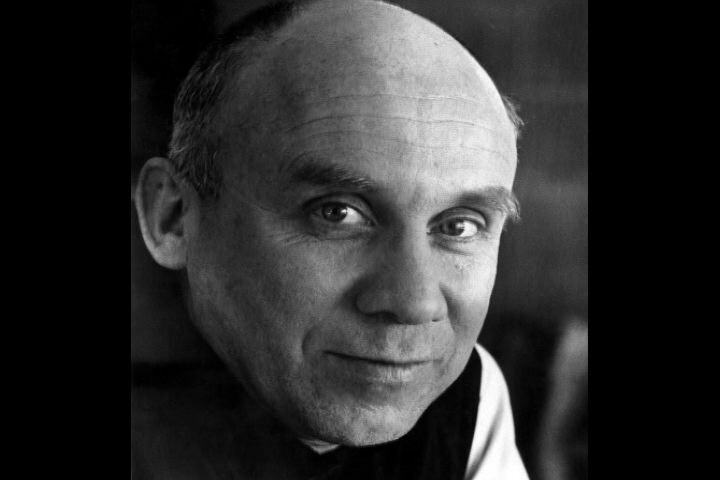 Today we ask, what did Thomas Merton want? When, at age 28, in 1943, Thomas entered the monastery and become a monk, what he wanted was to be alone, to withdraw from the world. There is so much that is sad, and unfair, and just ridiculous about the way people treat each other, and the way most people live their lives. Thomas just wanted to get away from all that. What he found out after spending a lot of time being alone was that he wasn’t separate from the world at all, but right at the very center of it all the time. Thomas began to understand very deeply that most of our lives, we have an idea of ourselves: the “me” that works in the world, thinks about itself, tries to get things for itself. But this “me” is not the true “me.” The true “me” knows what Thomas knew as he stood at the corner of 4th and Walnut. Maybe I want a house, or a bicycle, or some tasty, rich food. But what my true self wants is to know the truth of love, to know that you are me, and I am you, and to live a life constantly based on that knowledge. The whole point of being alone, Thomas realized, is not to withdraw from the world but to teach ourselves the truth of love for the world. In loving the world, we want most to end war and poverty: for people to enjoy each other’s love, respect, and fair treatment. Thomas was a social activist – not by establishing organizations or leading demonstrations, but by writing. He wrote powerful essays that helped people see how bad and unnecessary were war, and racism, and nuclear weapons. When someone sees that his true self is also the true self of everyone, and wants to spread that joy, then he sees that when we’re mean to each other, it hides our true self, and hides the other person’s true self. Part 4 of "The Spiritual Activist"
Next: Part 5: "Thich Nhat Hanh"
Previous: Part 3: "Dorothy Day"
Beginning: Part 1: "Satyana's Principles of Spiritual Activism"